Fresh Artists curates an ever-growing collection of artwork by talented K-12 students from across the country. Since their founding in 2008, they estimate they have impacted the lives of more than 330,000 young people and delivered the value of more than a half million dollars in goods and art programs to art classrooms, touching children in almost every state in the US. 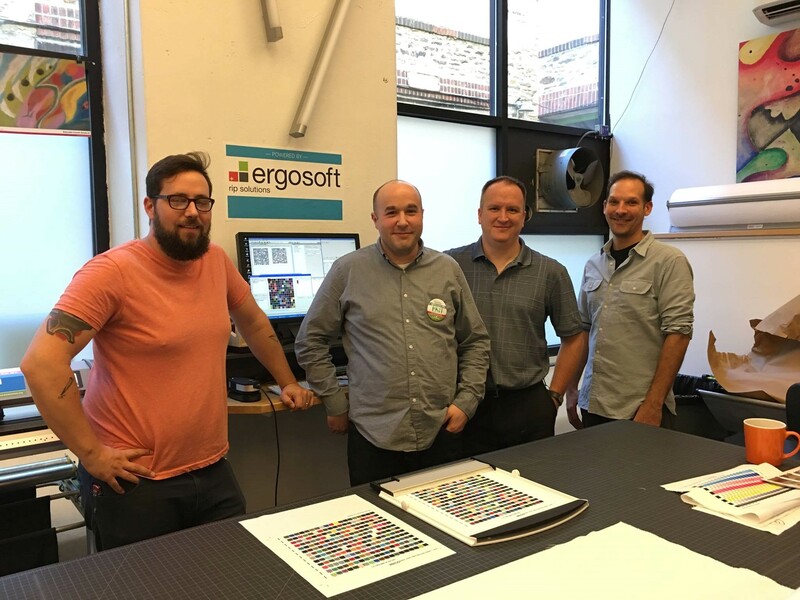 Phil Hackney, ErgoSoft Americas Technical Services Specialist, was excited to travel to the Fresh Artists offices to offer technical expertise as they kicked off their newest collaboration: a textile collection for Crate & Barrel’s children’s brand, Land of Nod – the ultimate result of which will generate funds for Fresh Artists’ art programs to schools in need. We are proud to be a part of this endeavor, along with other partners such as Hewlett Packard and Mutoh, which makes it possible for Fresh Artists to generate funds to support the wide distribution of art supplies and art programs to many under-resourced schools throughout the Unites States.